How do I find the item I want on the web site? In order to find an item, you may browse our online catalog. Our catalog lists prices, titles, and ISBN numbers. 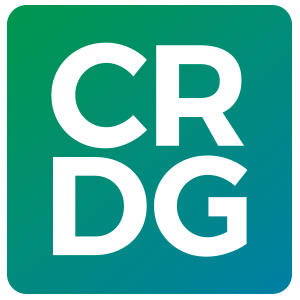 There are 4 ways that you can place an order with CRDG; online, by mail/fax, by telephone, or by walking into our CRDG Marketing & Publication Services (MaPS) office. Our products may be purchased via our web site. 1. Search for items by category or select a subject from the navigation menu at the top of this page. 2. Enter the purchase quantity and click the Add To Cart button for any item you wish to purchase. 3. When you are ready to check out, click the shopping cart, cart CHECKOUT. 4. Confirm your order and complete your contact and credit card information. 5. Upon submission of your order you will receive a confirmation email. Note that this email only confirms receipt of your order. It does not confirm your payment status. 6. Once your order is processed, you will receive a follow up email confirming your payment status and shipping details. Click here for a CRDG order form. To place an order by phone, call between 9:00 a.m. and 5:00 p.m. Hawai`i Standard time (HST), Monday through Friday. You will need to provide the information listed above. What is the shipping and handling rate for an order? To find out our shipping options and rates, please use the shipping quote feature on our online catalog. We accept payment via cash (walk-in only), check, credit card (MasterCard, VISA, or Discover), or purchase order. Please make checks and purchase orders payable to RCUH. All sales are final. If your materials are received damaged or defective, contact us on how to exchange your merchandise. How do I obtain more information about the CRDG curriculum? To request more information on a particular curriculum, please go to the CRDG subject areas. Can I review a textbook before buying it to make sure it fits my school's curriculum? CRDG provides examination copies to teachers and others who are interested in reviewing our curriculum. Our examination period is 60 days. After 60 days, you may either purchase the materials or return them to us. Returned books must be in sellable condition. To request for an examination copy, please contact us.